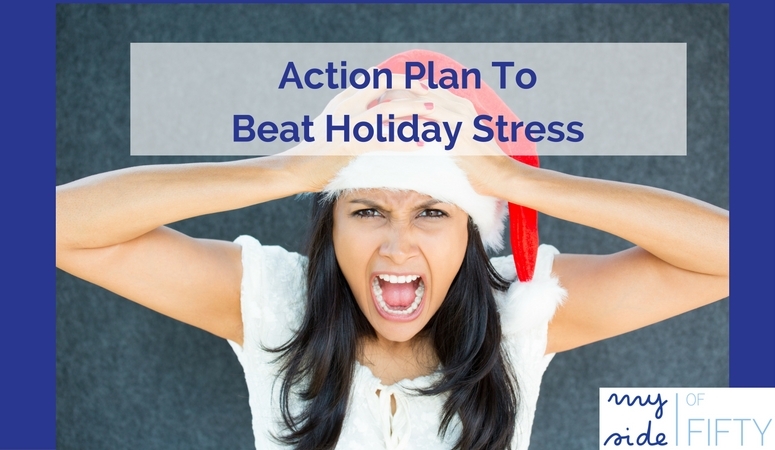 Do you get stressed out over the holidays? I don’t care how “Zen” you are, between the constant commercials encouraging us to “buy, buy, buy” , extra social obligations, weirdness in our families and self-care going on the back burner for 8 weeks out of the year, I know we all experience a little Holiday Stress! Today, my friend and fellow midlife woman, Liz Applegate brings her honest assessment of how she typically feels around the holidays AND her remedy to make this holiday season one with more meaning and less stress. Even though retail establishments have been bringing out Christmas decorations since mid-July, the reality of the holiday season is upon us. Here we are again in November. Am I the only one who is questioning how 2016 managed to slip by so quickly? I’m going to be open and honest about a couple of things: One, over the years, instead of the holidays having that “magical” feeling they once had, instead I end up feeling stressed, put out, and rather “bah humbug” from November 1 to January 1. Two, every year for the last several, I swear that “next year” will be different. I’m not sure what it is, but there seems to be an overwhelming pressure I’ve put on myself to decorate and cook like Martha Stewart plus find perfect gifts that rival Oprah’s Favorite Things. It’s not fun; it’s not fulfilling, and I’m not sure that I like myself frantically trying to achieve these crazy standards. So before the madness has begun for 2016, I thought that after all these years of promising to make the holiday season more meaningful and less stressful, I’d do something about it. Knowing that many of us are experiencing similar feelings when we reach the middle years, I wanted to share my action plan below. Maybe you aren’t familiar with intention setting, and it sounds a little woo-woo for you, but it’s just declaring “the main thing” and then keeping “the main thing as “the main thing.” So every decision that you need to make refers to your intention. And I want to be clear…this is not about an intention of having perfectly prepared meals, a perfectly decorated table and finding the most incredibly personal gifts for my family at $50 each. This intention is about meaning and how I want to feel and this year it’s “joyful connection.” As my kids are growing up and this being the first year that some, not all, will be home for Thanksgiving and Christmas, I want the time that I do have with them to be meaningful and filled with joy. Will arguing with my ex-husband over the time we are eating Thanksgiving dinner to accommodate his time with the boys add to my intention or detract from it? Is there something else I can do in this situation to add to the joyful connection with my sons? Will unpacking and displaying up all 14 boxes of Christmas decorations add to my intention of “joyful connection”? Because I hate that my sons feel the pressure of eating two dinners, between both parents’ homes, my husband and I have decided to move our Thanksgiving dinner to Friday. They don’t have the pressure of time and neither do we. The 14 boxes of decorations? I’m considering very simple this year with a much smaller tree and maybe just decorations on the mantle. Each time I’m faced with a decision where I feel my stress level going up, I will ask, “Is this helping to keep the main thing as the main thing?” This question helps to eliminate the “shoulds” I may be feeling around this time of year and focusing on what’s most important. I created a tool that I call my “Optimum Day Checklist.” (I need to come up with a better name for it, but for now, that’s what I call it). So for the second part of my Stress-free, Super Meaningful Holiday of 2016 Plan, this means I need to get back to basics. And for me, I have specifics to follow, but all too often I let slide, especially around the holidays. Below is my Optimum Day Checklist. Drink enough water. For me, I feel best when I drink half of my weight in ounces. Be mindful of what I allow in and where I am showing up. I need to pay attention to mindless social media scrolling and other or self-numbing activities. Also, I need to be wary of situations/people where I feel unsafe to be myself. Get enough sleep. Most nights that means that I’m off computer/tv/iPad/iPhone by 9 pm and in bed by 10 pm. Feed my body. I need to pay attention to added sugar, soy, and wheat which are all known triggers that leave me feeling lackluster. I also am sure that I’m taking my supplements and medication, regularly. Move. For me, that can be dancing in the living room, (80’s music please! ), taking a walk, or practicing yoga. Feed my brain. Read, do puzzles, play a board game, listen to podcasts. Feed my curiosity. Try a new food, recipe, restaurant, take a new route to a common destination, change my radio station/playlist. Mix up the “usuals” for a holiday meal. Cajun Thanksgiving? Sure, why not! Caribbean Christmas Dinner? Yep! Open up. Both physically and metaphorically: Take deep breath breaks throughout the day, stretch, smile at the cashier and offer a warm conversation, introduce myself to a stranger. Donate to a charity. Feed my senses. Burn scented candles, buy flowers, wear something shimmery and spruce up the few decorations that I will have out, soak in a warm bath with luxurious bubble, sip champagne with my husband under the lighted Christmas tree. This checklist is a reminder to be mindful of my feelings and honoring where I am on any particular day. When I am feeling the stress of the season and find that I’m playing into the “shoulds” instead of my intention, I need to remind myself to go back to the basics and see what I have let slip. If you haven’t thought of your Optimum Day Checklist, take this week and start paying attention to what you need. Notice your moods and feelings and if you aren’t feeling great, ask if adding a stretch, a big glass of water or a 3-minute solo dance party may help. I invite you to set your intention for the holiday season. Is it to be joyful? Simple? Peaceful? Whatever it is, you deserve your attention, and you deserve to have a Stress-free Super Meaningful Holiday. 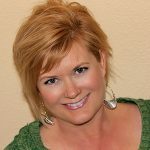 Liz is the Founder of Midlife Schmidlife and has a weekly podcast that I know you’ll enjoy. Did you find this post helpful? Use the icons in the sidebar or below to share! Liz Applegate is the mom to three adult-ish sons and a bonus family from her husband of 10 years, including a grandson. Liz considers herself a second-chance enthusiast and positive change facilitator. 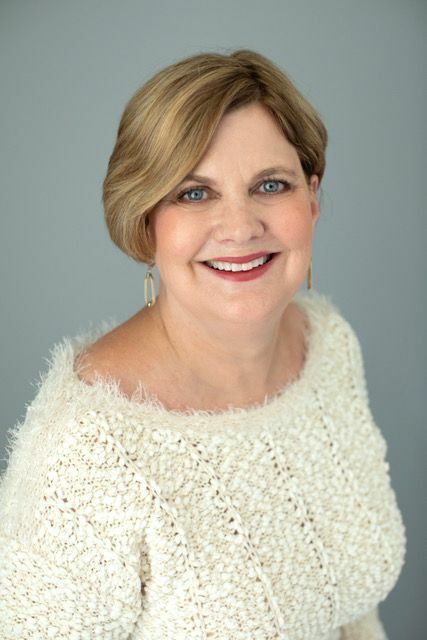 She is a certified life coach, podcaster and the founder of Midlife Schmidlife. So glad that you liked the list, Darlene! Great list! I try to live by it, but thanks for the reminder. I have to remind myself as well, Christi. Great list, great reminders! Just guzzled my water that has been sitting, undisturbed, on my desk. Thanks. Drinking water seems to be my biggest challenge! Keep up the guzzling! These are all such great tips! I’m a full-time caregiver to my mother as well as a wife, mom, and grandmother and it is often so stressful that I never get to enjoy it. Maybe this will help! Rena, sounds like you have enough on your plate without adding a bunch of extra holiday stuff. This year, I delegated all but the Thanksgiving main course to my 2 adult daughters. I can’t tell you how freeing that is! Hope you find some ways to simplify! Rena, you have a lot of responsibilities. I’m hoping you can set an intention of gifting yourself some time and space just to enjoy the little things of the season. Yes to everything! I really have to get a handle on my sleep patterns though. When I downsized it was very, very hard to part with many Christmas decorations, Now I only use some, so each year the apartment is decorated differently, but with cherished items that “made the cut” as well as a few new, meaningful things. Thanks for addressing this so early in the season! Linda – it is amazing how much Christmas stuff we can accumulate over the years. And lack of sleep really contributes to the stress. Liz gave us all good things to think about ahead of the holidays! Linda, sleep is so imprtant!! I really cut off all electronics about an hour before bed. Also magnesium supplements have helped too. I love your checklist. I don’t know why we have to make the holidays so complicated. Ours are pretty minimal because my two kids are usually off doing something else and my family is spread all over the US. We go to a couple parties and that’s about it. Rebecca – I don’t know either. Maybe keeping up with what our mothers did? Or what we think others expect? Or Pinterest? Either way, I’m determined to simplify! Rebecca, I’ve been trying to figure out why I made them so darn complicated! It sort of snuck up on me and I realized I misplaced what is most important. 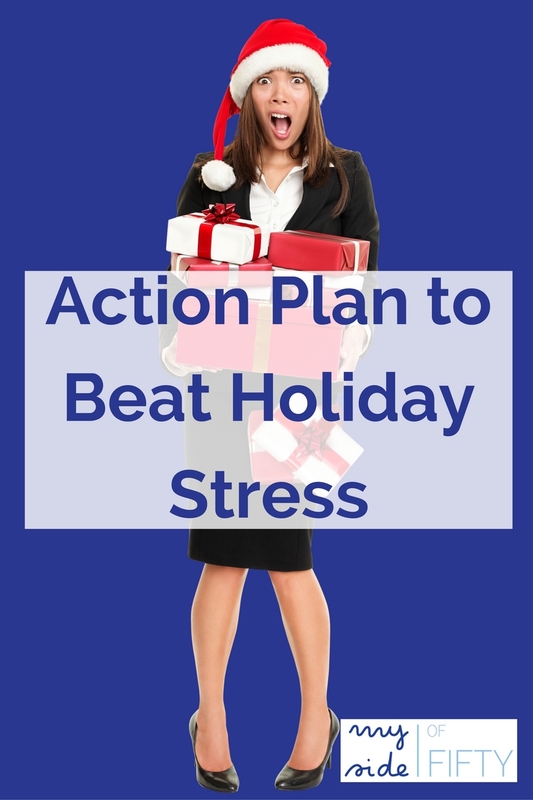 I’ve found the biggest help for me in de-stressing for the holidays is keeping my expectations to an absolute minimum. That way I don’t set myself up for disappointment and dwelling on what didn’t go as expected. Now I just take each day as it comes and enjoy it for what it is – and my holidays are a lot happier as a consequence! That’s a great tip, Leanne! Adding that to my list. I love your idea of your “optimum day” checklist! 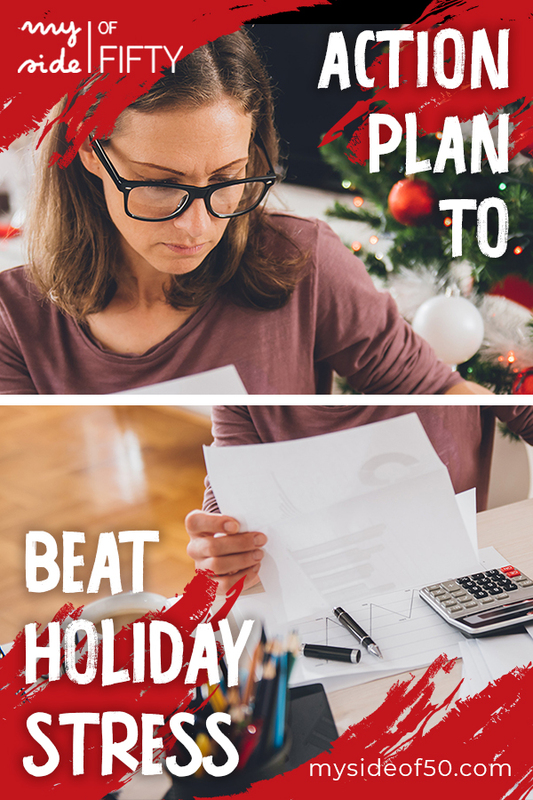 It is so important to make sure we don’t get caught up in the stress and the chaos of the holiday season and lose track of our goals or things that are important to us. I love that idea of Liz’s too. No matter how hectic it gets, it’s important to keep doing the things that are good for us! I love this. Any therapist will tell you that having a plan is the best way to cope with any stress at all. You are right about that! I have planned how I want to feel and letting my daughters do most of the Thanksgiving cooking! Seriously I dont gte Holiday Stress, Bacause I LOVVVE this season. The only down side on it is the weather sometimes, Here in UK wet and Grey…otherwise i am good. Thanx for sharing the tips tp enjoy it even more. That is so wonderful, Julie! Hope you get some sunshine! I think you have a very sensible plan for reducing stress. I used to get all stressed and exhausted, but in the past couple of years I have learned to make choices about what is most meaningful and forget the rest. I will decorate with a few family treasures and a tree, cook a few special holiday favorites, buy fewer gifts and have a glass of wine and enjoy being with those I love. Great plan, Michele – sounds like a winner to me! My husband is working Christmas days, two of my sons always go to their wives family. I may be alone or have one son home on Christmas day itself. Having an optimum day is a real game changer idea. A whole day doing whats good for you. I have to mull that idea around, it sounds like a great plan. Leanna – so glad that post gave you a good idea! Hope you have your “optimal” day! What a great list! Things get so busy during the season that I always forget me. This will help me stay more in the moment and enjoy things, not be so busy that it passes me by without enjoying it! I think the key is thinking about what you want to feel like over the holidays and as best you can stick to those activities that move you toward feeling the way you want to feel. Don’t forget you! I’ve gotten much less stressed out over the years! That’s a good thing. Sounds like a change was needed. Glad you and your husband are enjoying the holidays this year. This can be such a stressful time but it doesn’t have to be. Preparation is the key and lists! Would never survive without my lists!